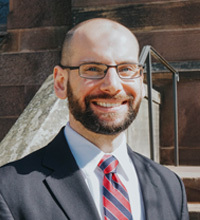 Heath D. Dewrell is assistant professor of Old Testament at Princeton Theological Seminary. He earned his MAR from Yale Divinity School and his PhD from the Johns Hopkins University. His primary interests are the ancient Near Eastern context of the Old Testament, the history of Israelite religion, especially the diversity of religious practice and belief in ancient Israel, and Hebrew and other Semitic languages. His first book, on the topic of child sacrifice in ancient Israel, was published in 2017. He is currently working on a second book examining the historical context of the book of Hosea. He is an active member of the Episcopal Church.